Without a doubt Amber Sound 107.2 raised our profile and introduced a lot of new clients to our business. I was surprised how much impact a conservative campaign bought for Scented Willow. Scented Willow are a really tight niche business. Specialising in personal health and beauty products with an emphasis on Pampering yourself. Gift baskets of Soaps Lotions Candles inscence moisturisers etc. are the bread and butter of the business and they have a strong ethical base making sure that they procure from renewable sources and ones that don’t use animal testing the kind of products you want to buy and feel good about. 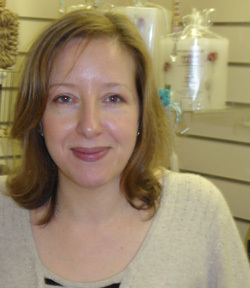 Scented Willow came to Amber Sound with the need to promote the retail outlet on Oxford Street Ripley. The shopfront has a small footprint and isn’t easily noticed so promotion was needed. They expected radio airtime to be expensive and found they could have a good three month long campaign without breaking the bank. Scented willow was on our lowest possible campaign which gave them just 3 commercials per day. Lynne Montgomery the business owner wasn’t expecting miracles and was pleasantly surprised when on the first weekend following the campaign several customers quoted Amber Sound upon visiting the shop. Radio is the ideal place for small niche markets often these markets have a large number of people looking for someone who does the service but have a hard time finding out about them Radio can take a niche market to the next level without massive expenditure.